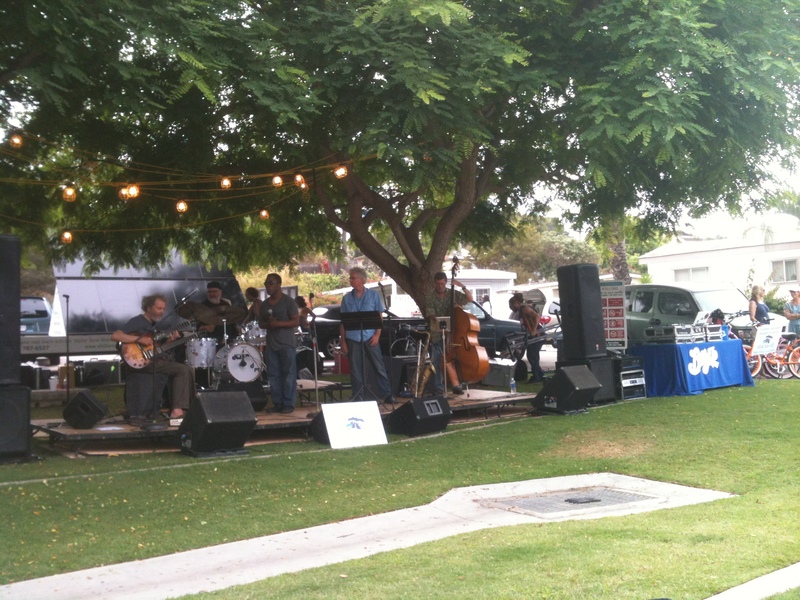 11:30 am – Beach clean up with Eco-Rooted. Meets at Moonlight Beach (under the big palm) and combs north to Beacons. Bring your own bags and gloves. 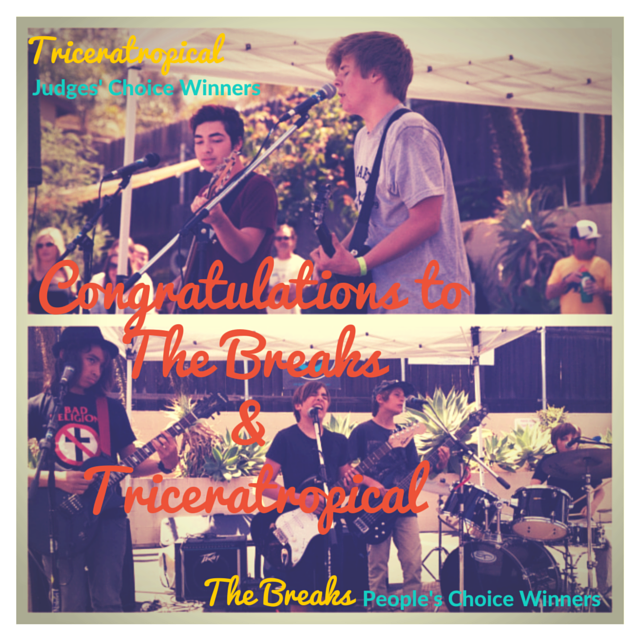 We are so stoked for TONIGHT and hope to see all of Leucadia in full force!!! 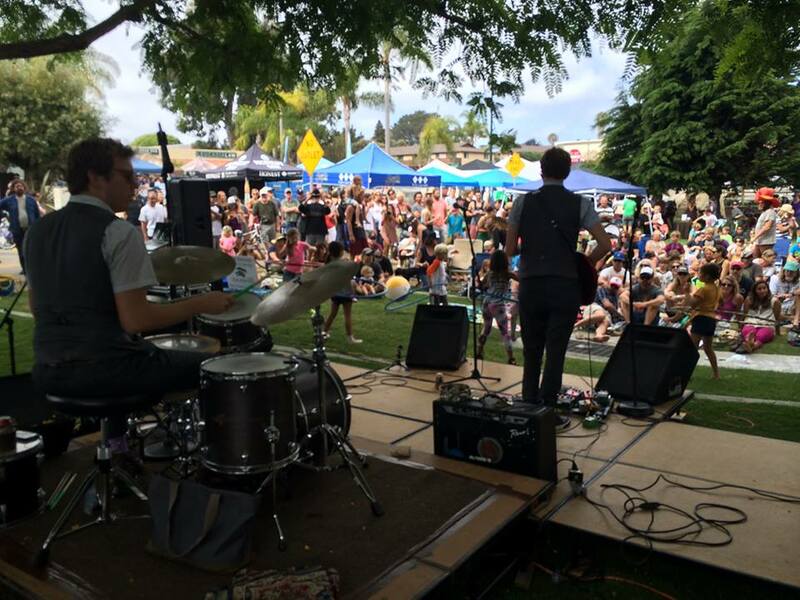 A few minor changes to today’s line up with Soul Juice now at 4 PM Ducky Waddle’s, Yael & Vlady added at 5 PM Ducky Waddle’s and Chill Boy playing 6 PM at the Pannikin!!!! Enjoy the show and Record swap folks. Please support all of the wonderful stores involved this evening and purchase something!! Mattson 2 Comes Home for Summer Fun! 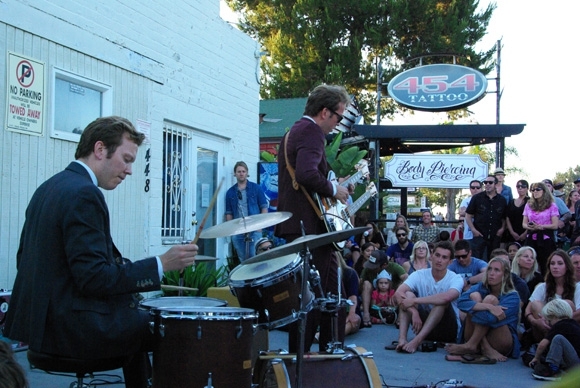 Those jazzy twin brothers from Cardiff by the Sea are back headlining Summer Fun on the 101 for the 5th time!!! When we caught up with them last year, Jonathan (drums) and Jared (guitar) were putting the finishing touches on their newest album Agar and had both received Masters degrees in music from UC Irvine. They haven’t slowed down a bit. 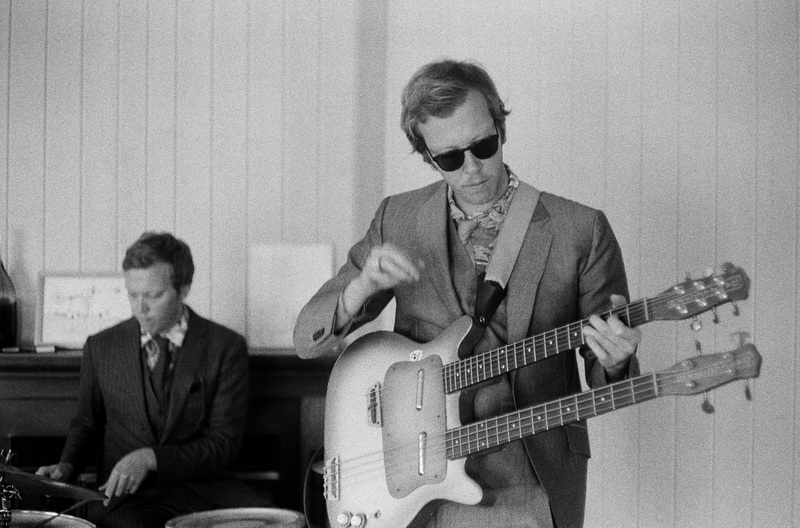 Recently, Mattson 2 has opened shows for Toro y Moi and started a residency called Jazilla at Hollywood’s Spare Room where they honor a different jazz legend each month. This week Mattson 2 played a show in Biarritz, France and are wrapping up the Indiegogo funding campaign for a new documentary they’ve been filming called Twinchronicity. Check out the promo clip. Only one day left in the campaign so please support! And definitely pick up a copy or download of Agar which in our opinion, is their best and most innovative recording to date! 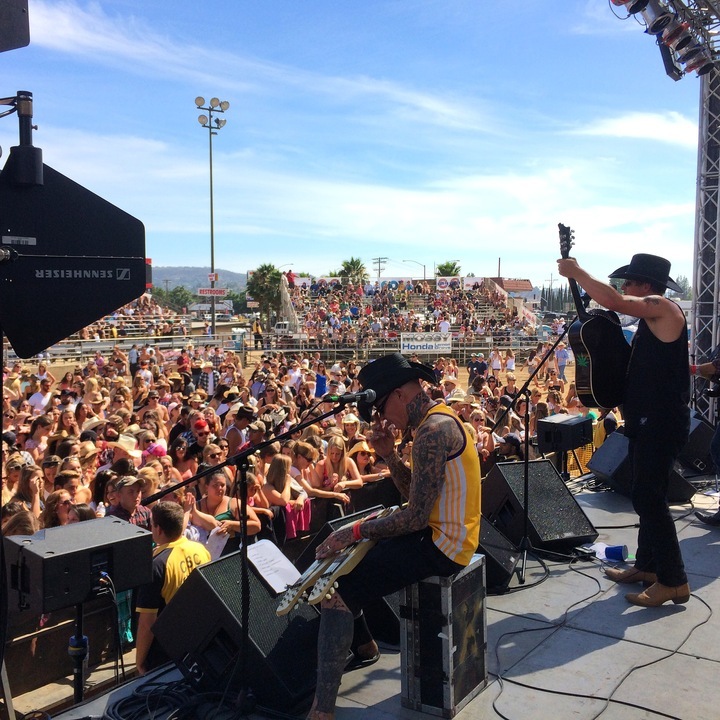 Summer Fun is psyched beyond belief to have these amazing talents back on stage this year and we know they are frothing to play for a hometown crowd. 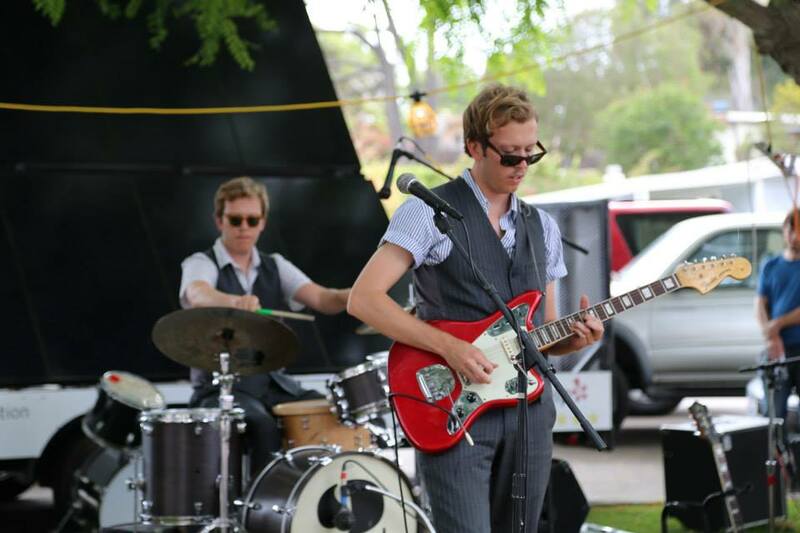 Don’t miss Mattson 2 playing 4PM at Leucadia Roadside Park on Saturday June 27th!! 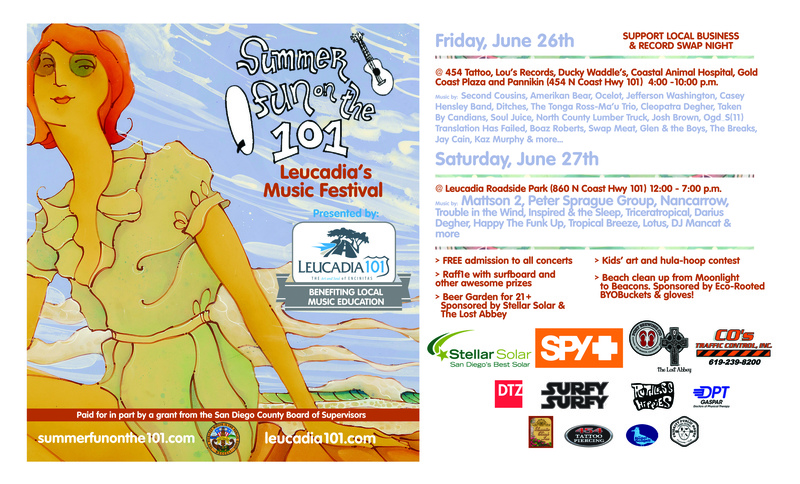 Summer Fun on the 101: Leucadia’s Music festival 2015 Line Up !!! 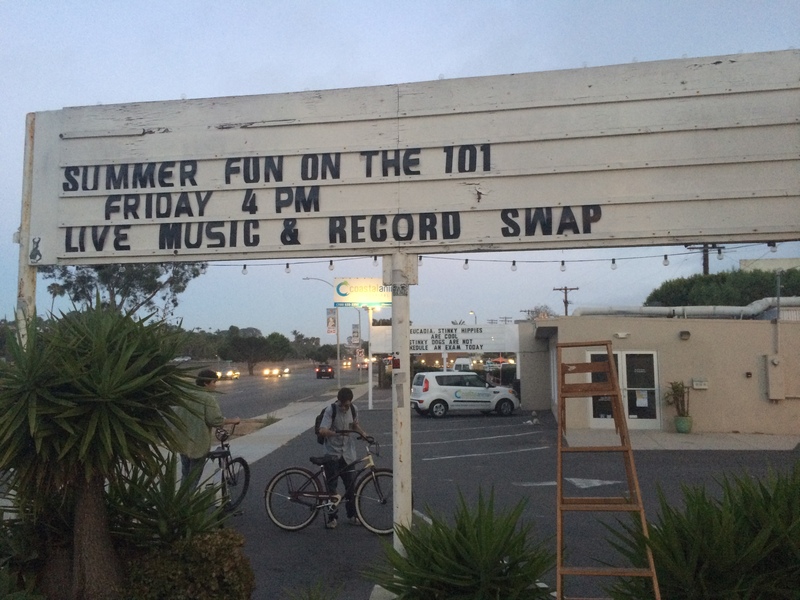 Follow us on the Leucaida 101 Homepage, Facebook, Twitter and Instagram for updates leading up to the event! 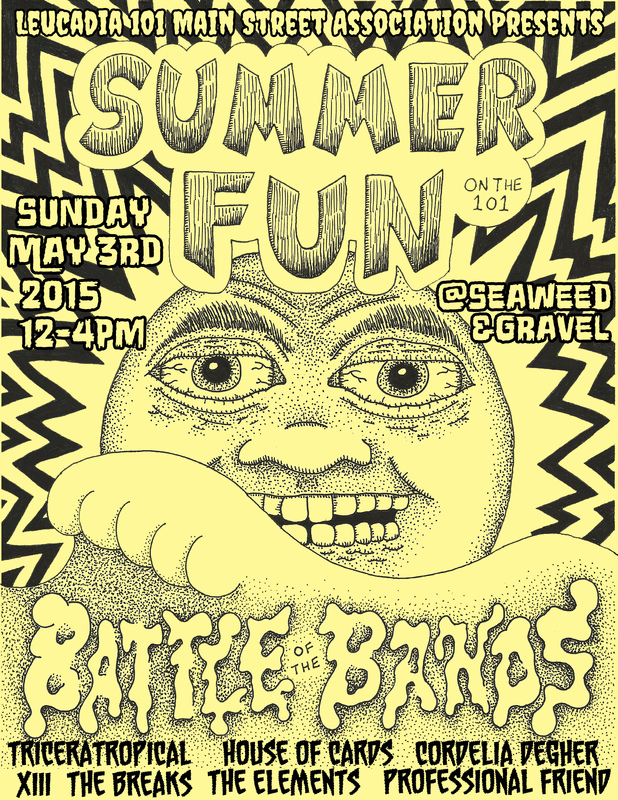 Here’s L101’s 2015 Battle of the Bands schedule for this Sunday May 3rd @ Seaweed & Gravel (1144 N Coast hwy 101)!!! This is a FREE event for the whole community! 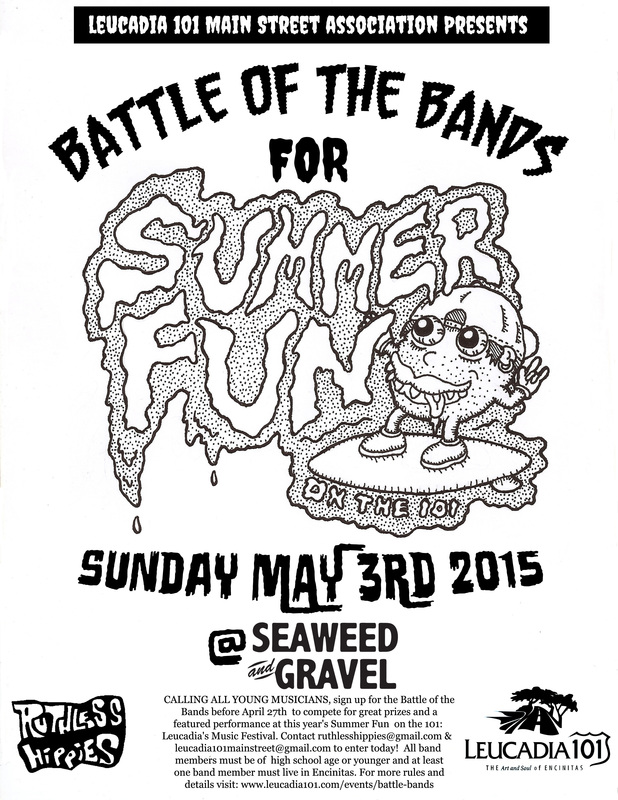 Bring your own beach chair, sun screen and water. Killer poster art by Darren Shekailo.